*viewing space for the performance is limited; please arrive early. After the performance viewers are welcome to stay or join for music, projections and interactive elements. 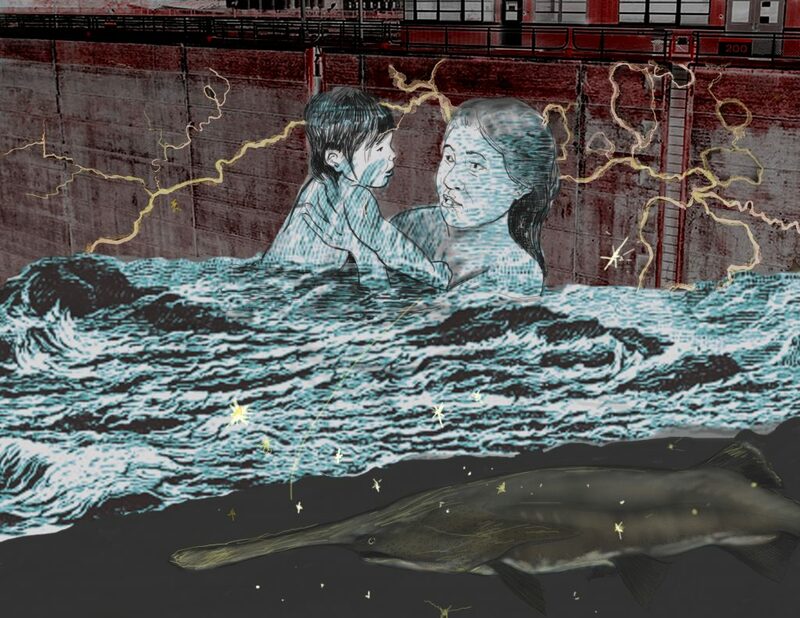 A night of poetry, projection, and music will illuminate a future where both rivers and people are liberated, where we celebrate wildness, and where we practice reciprocal relationships between all bodies of water, including one another’s. Illuminate the Lock is a program that uses the 49 foot tall chamber of Upper Saint Anthony Falls Lock & Dam as a platform for artistic intervention. Each night of programming is free and open to the public. Presented by Northern Lights.mn, Mississippi Park Connection, and the National Park Service with support from St. Anthony Falls Heritage Board and the US Army Corps of Engineers.